INFOTECH is the major annual Information and Communication Technology (ICT) event organised in Mauritius by the National Computer Board (NCB) in collaboration with the Ministry of Technology, Communication and Innovation. The aim is to create awareness on emerging technologies and provide business opportunities in the ICT sector. The National Computer Board has been organising Infotech since 1995 and has grown to become the largest annual ICT event in Mauritius, with the aim to provide an overview in the latest developments in the field of ICT. Besides the usual conference, this year, the InnovTech took place. The innovTech area brought an innovative side of the conference. The aim of InnovTech conference was to raise awareness on the innovative use of IT. A dedicated space was setup for the InnovTech area to showcase innovative products developed by Mauritians. Technologies such as 3D printing, artificial intelligence, smart home were showcased by some 20 companies. 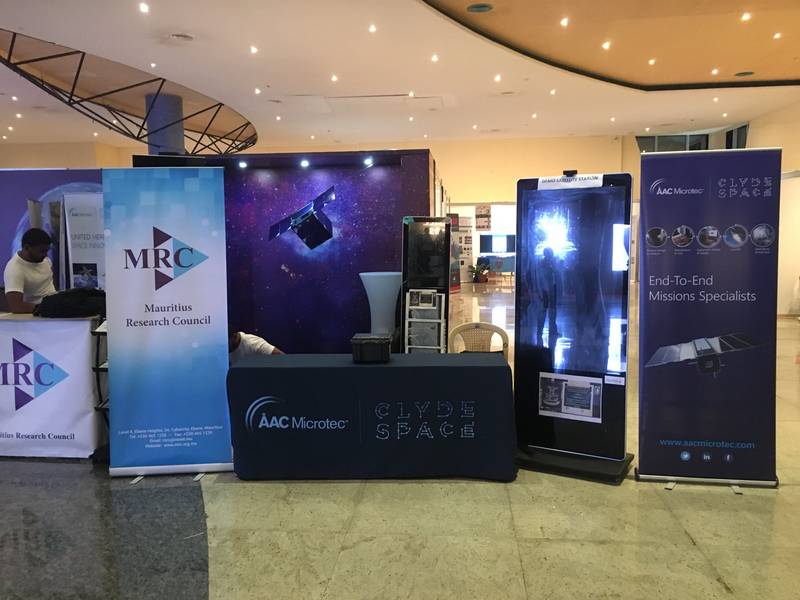 Together with the Mauritius Research Council, a workshop was organised on Sat 1st Sept. 2018 on Satellite Technologies and the MIR-SAT1 Project. 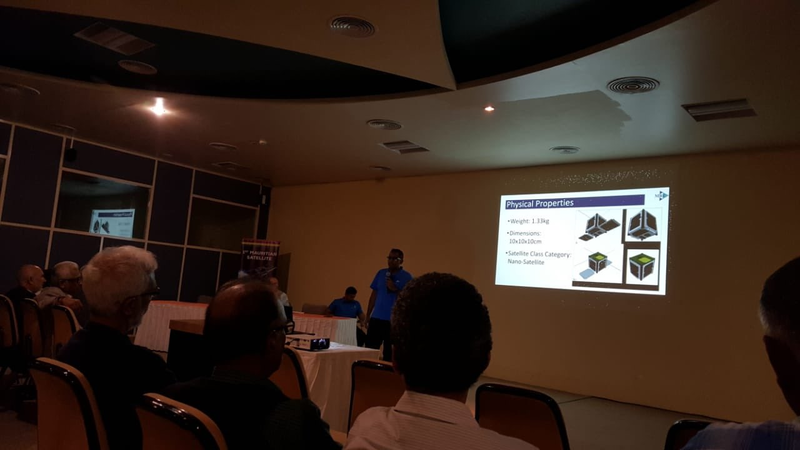 The aim of the workshop was to raise awareness on why Mauritius has to go to Space with a focus on the 1st Mauritian Satellite MIRSAT1. The satellite will provide invaluable insights on land and ocean data, thermal infrared images will help crop yield estimation and forecasting, irrigation scheduling, plant disease, pathogen detection etc. 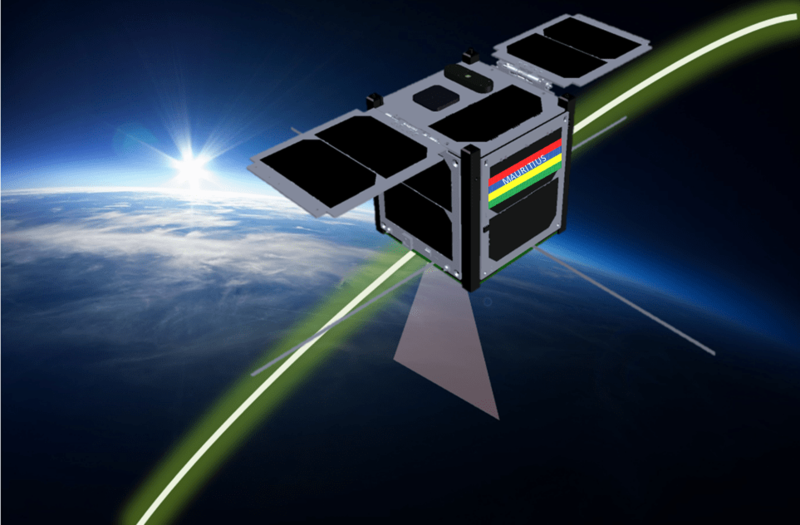 Earlier in June, the Mauritius Research Council became the third successful candidate to participate in the KiboCUBE programme by UNOOSA and JAXA which offer educational and research institutions from developing countries the opportunity to develop cube satellites (CubeSats) for deployment from the International Space Station (ISS). This workshop provided a unique opportunity for IT professionals, Students and Startups to have beneficial insights to the latest innovative technologies by prominent Speakers on Blockchain, Robotics, Cyber Security, Augmented Reality, Internet of Things, Open Data, Red Hat OpenShift and Nanosatellite Technology. MIRSAT1 is scheduled to launch in October 2019.